Did you start opting for voice search in your SEO strategy? If you thought Personal Assistants (PAs) are just digital or online assistants that can only utilized to carry forward daily routine tasks, you’re wrong. They’re being touted to be the future of SEO. If you take into account 2 of the most famous PAs, Google Assistant and Siri, you will know that their users often use them to retrieve information of all sorts. But where do they get the information from? Definitely from somewhere in the web! Read on to know how PAs will decide the future of SEO and why this category will be given the name of PASO or personal assistant search optimization. Personal digital assistants are indeed great as they’re extremely portable and that is because they are built in all smartphones. They can also be present in computers, home devices and any other device which is connected through the Internet of Things. 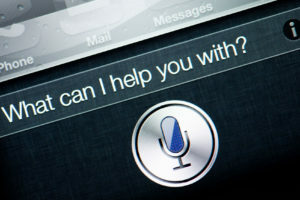 Siri has been the main part of the iOS smartphone platform for many years now and Google Assistant can be found in Android phones and Android wear. One more reason behind the digital personal assistants representing the future of SEO is because of the fact that search results are done in such a way that they will meet the needs of the users. Since people use PAs on smartphones, this clearly indicates that their search is location-specific. Secondly, PAs are armed with a little bit of AI or Artificial Intelligence to make sure that the responses are all in line with the anticipations of the users. You can easily predict to see good quality of AI in online personal assistants to improve in the coming few years. You must have Googled a phrase many times only to find out that there are 40 million results. Even people who have no work in their hands will find it difficult to sort through all information. On the contrary, PAs will return with only 1-4 results and this alleviates the stress of the users to find out appropriate answers without having to scroll through pages. If you adapt to PASO way ahead of time, you will gain a competitive advantage over others as there is still not too much written on PASO right now. All the best for this new chapter on online optimization as the returns are expected to be big.